Because of the vast range of geomorphologic aspects mentioned so far, a wide set of resources were available to the inhabitants of the Veneto. Salt was particularly rare and precious. It originated from an abundant exploitation of the vast lagoon. The Veneto salt was the unique alternative to that extracted in the trans-alpine and middle-italic mines and it was mentioned as early as Cassiodorus as a primary means of exchange and fundamental richness for the population of the Veneto coast (Cassiodorus, Variae, XII, 24). Also the exploitation of the fishing resources was very relevant in the economy of the coastal settlements, even though of less importance in comparison with the salt. Archaeological finds and, even more strongly, Latin sources such as Pliny and Martial (Pliny the Elder, Naturalis Historia, IX, 22, 75; IX, 61; XXXII, 150; Martial, Epigrammata, XIII, 88; Elianus, De natura animalium, XIV, 8 ) enhance several typologies of fishing product (e.g. nerissimi pectines mussels, gobius goby, lupus sea bass and the fat eels in the Retrone/Bacchiglione and Mincio). Nevertheless, the most important products were those coming from the agricultural exploitation of the plains, whose fertility was already mentioned in the second century BC by Polybius. He states that Veneto was more fertile than any other region of the world known to him (Polybius, Historiae, II, 14, 7; II, 15, 1-6). The same theme also appears in Strabo (Strabo, Geographia, V, 1, 3; V, 1, 4; V, 1, 12) at the end of the first century BC and then in Pliny the Elder (Pliny the Elder, Naturalis Historia, XVIII, 127-128), Tacitus (Tacitus, Historiae, II, 17, 1), Pliny the Younger, who remembers in regione Transpadana summa abundantia (Pliny the Younger, Epistulae, IV, 6, 1), and many others. Similar attestations, pollen analyses and other sources point to the presence of the farming of wheat, oats, spelt, vines (very famous the vinum raeticum of Verona hills), fruit trees, legume. There was also lots of fresh forage. 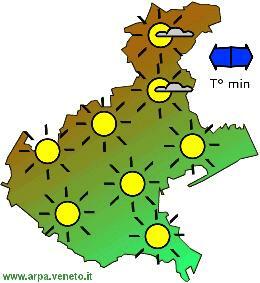 Intensive farming left traces in the rigidly structured Roman partition of the territory which covers the entire Veneto. Moreover, the vastness of the valley allows the conservation of a large uncultivated area, that could be used for pasture and to increase the breeding potential. Breeding was a further economic sector that developed in close connection with agriculture. Swine breeding was so important so that Polybius also mentions it (Polybius, Historiae, II, 15, 3; Cato in Varro, De re rustica, II, 4, 10-11), but horse breeding was even more important and even Greek sources celebrated it (Homer, Iliade, II, 851-852; Alcman, D. L. Page, Poetae Melici Graeci, I, 45-54; Euripides, Hippolytus, 228-231 e 1131-1135);However, horse breeding was mostly supplanted by sheep breeding during the Roman age (Strabo, Geographia, V, 1, 4), because the latter was certainly more profitable in the enlarged Italic market with respect to both trading and economic value. Many literary sources (Pliny the Elder, Naturalis Historia, VIII, 190-191; Columella, De re rustica, VII, 2, 3; Pliny the Younger, Epistulae, II, 11, 25; Strabo, Geographia, V, 1, 7 e 12; Martial, Epigrams, XIV, 143), epigraphic and archaeological evidence have enhanced the existence of a breeding system that had an incredible importance for wool production, and which should have had Padova and Altino as its major poles. 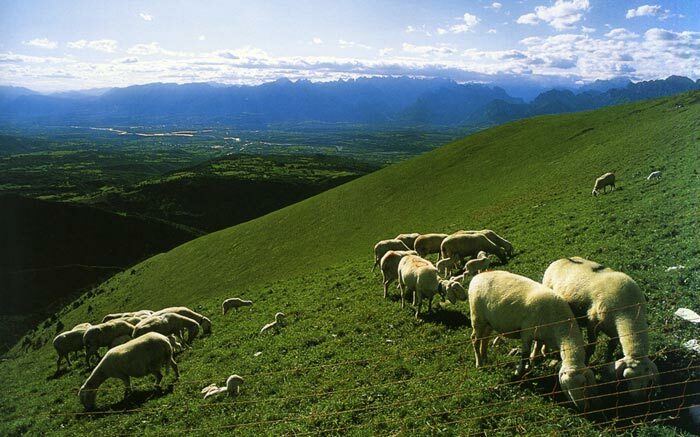 The main characteristic of sheep breeding was the fact that sheep breeding required both sedentary periods and transhumance, as the animals needed to travel around and take advantage of the large grazing resources of the territory in the pre-alpine and alpine areas. Pascoli e greggi nelle montagne venete. 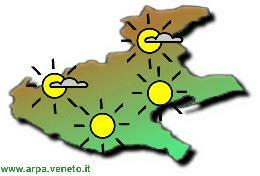 The Veneto plains were rich in clay and this was used for the production of bricks and pots. There were also resources suitable for the production of timber and shipbuilding because of the large number of woods, mainly concentrated in the pre-alpine and alpine areas. In these areas we have many inscriptions which attest names of single timber merchants and also professional associations, those of fabri and dendrophoroi. 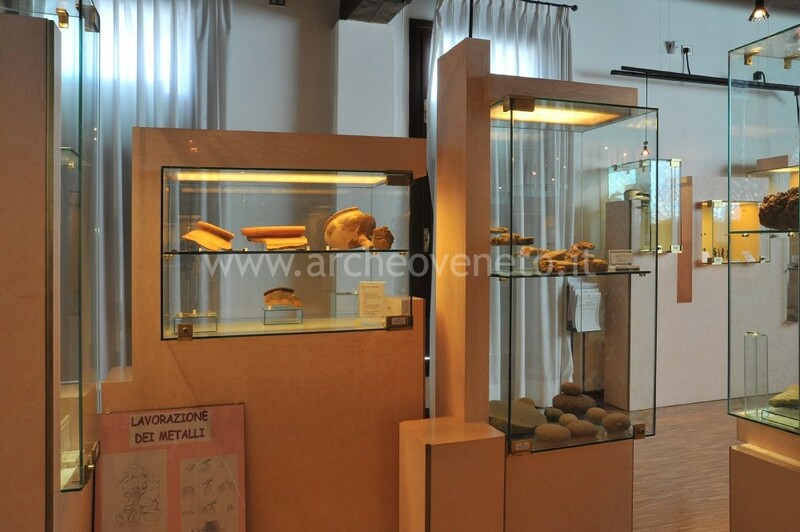 The timber and the clay were transported via water from the mountains to the settlements in the valley along the rivers (mainly Brenta and Piave). The same was still happening ten years ago. Another product that was transported in this way was stone, which was used to build roads and houses. High quality limestone came from the mountains and the hills next to Verona, in Valpolicella and Valpantena; the socalled “scaglia rossa”, “tufo”, “bianco Verona” and “rosso veronese” were fully exploited in Veneto and also exported in large quantities up to Lombardia and Emilia. Again in the pre-alpine area there was a very significant stone called “pietra del Cansiglio”, which was a light coloured limestone still used toady. Also the hills flanking the valley were very important for the presence of limestone quarries, in particular the Colli Berici and Colli Euganei. The Colli Berici were characterised by soft limestone (“pietra di Nanto” and “pietra di Vicenza”) which was used as early as the sixth century BC up to the Roman Age, not only by the people of Veneto, but also by those of Lombardia. 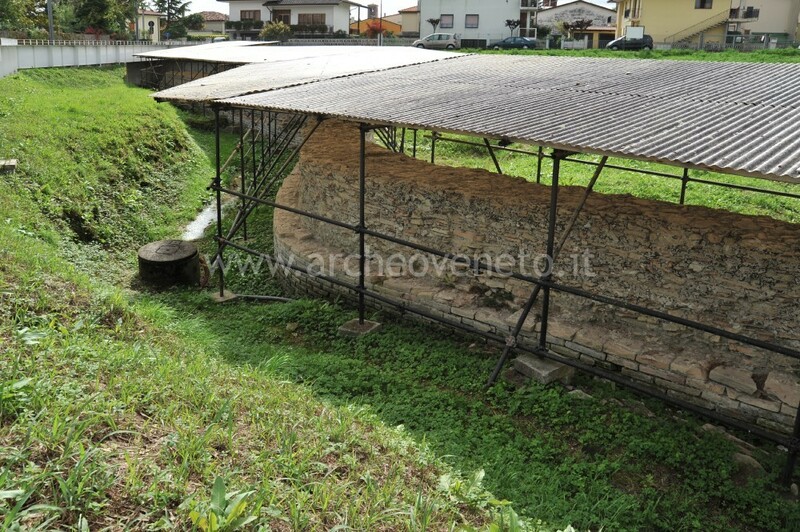 In the Hills around Padova (mainly in the southern area between Battaglia Terme and Monselice) there was the valuable volcanic trachyte (“trachite grigia”) that was very popular because of its mechanical properties such as water resistance and compactness. 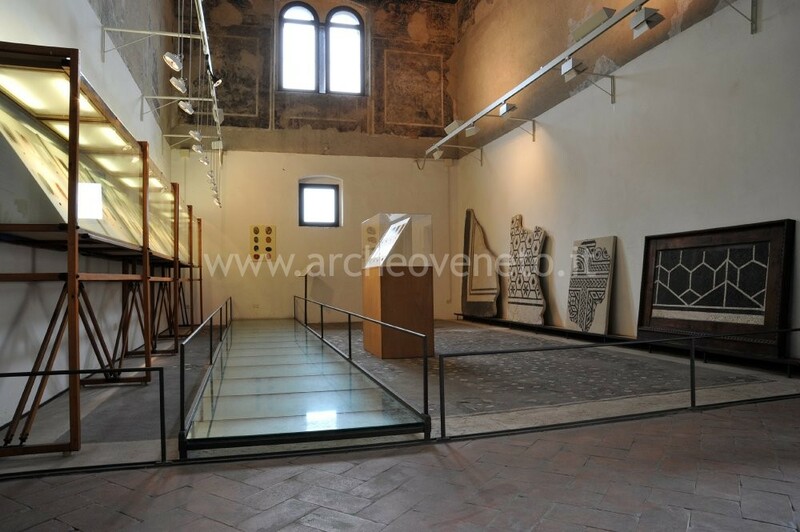 Because of these qualities this kind of stone was exported also to central Italy. 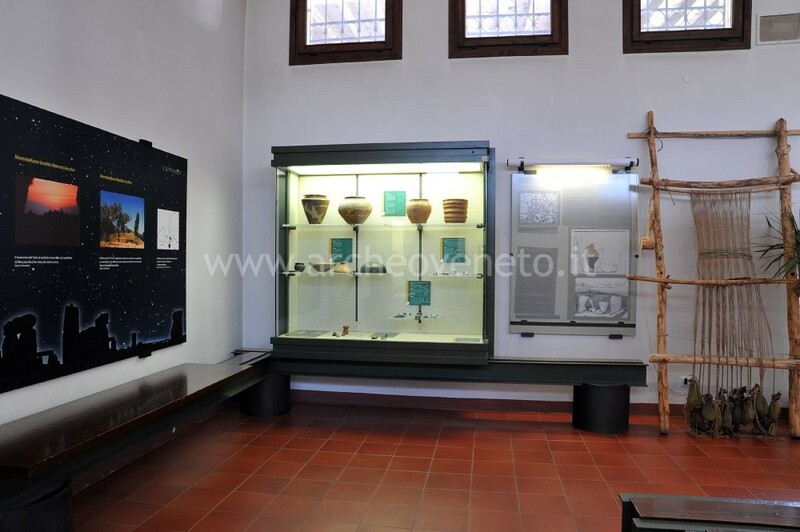 The Diocesan Museum was set up in 2005 in the halls of the Bishop’s Palace. 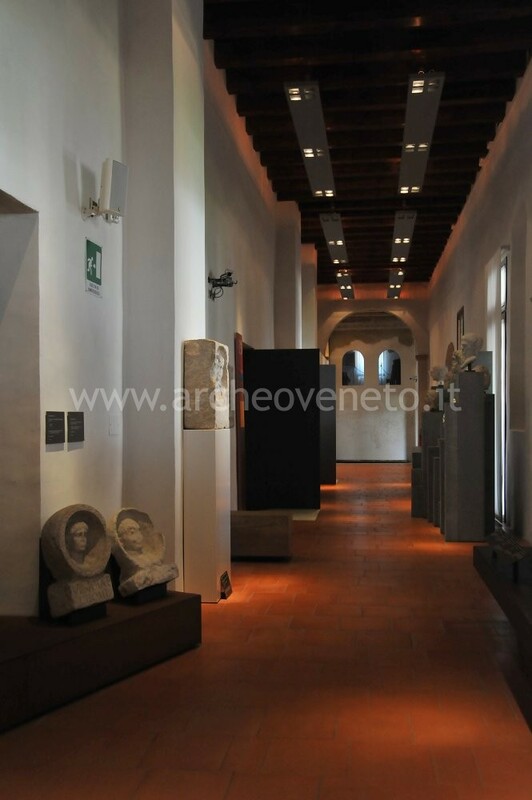 The museum is organized on four floors: the archaeological section is located on the ground floor, whereas the upper floors host valuable works belonging to the Diocese of Vicenza. They bear witness to the growth of the Christian community in Vicenza from late Antiquity until nowadays, providing important information on the development of the Christian religion in the town. 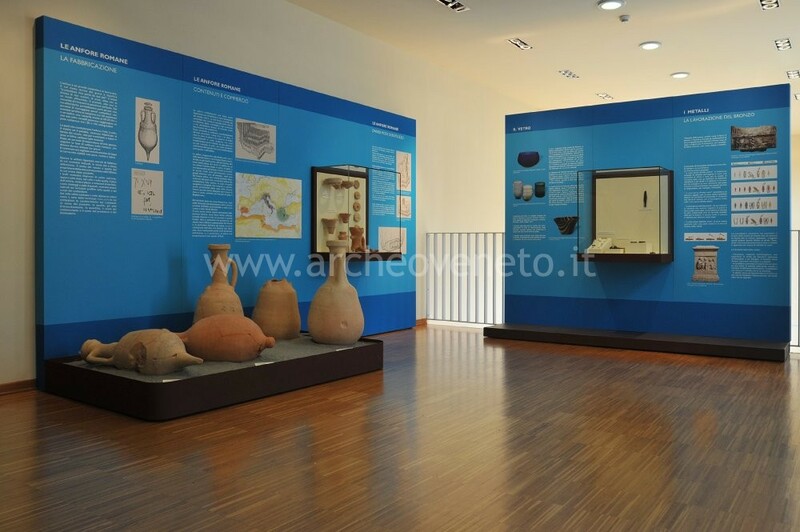 The close relation between the museum and the land is underlined by the broad Network of local Museums, which enables the Diocesan Museum to have constant contacts to the municipality and the other museums located in Vicenza.